When it comes to getting engaged, a set amount of time to wait across the board would be unfair. It’s more about relational progress than a prescribed amount of time. All relationships grow at different paces. Some of it depends on how much time you spend with each other to find out if engagement is a good idea. If you’re considering engagement, here are some thoughts about whether it could be too soon or not. Is Your Decision based on Emotions or Facts? The drug-like high of infatuation is very powerful. Is it possible that two people can have these strong feelings for each other and still shouldn’t get engaged? But that’s hard to see when the hormones are raging and that in-love feeling holds so much sway. As best as you can, get to know each other better. Discuss if a long-term commitment like engagement is a good idea based on facts instead of feeling. What are your long-term goals and values? Do they match up enough to ensure compatibility? If you don’t do this, you may eventually end up in a marriage that you regret. By then, you’ll have the facts but you may not be so happy with what you find. Simply Put: Are They Marriage Material or Not? That’s the question you most need to answer. Engagement is never a good idea for anything other than the most committed relationships. Engagement is not something you do to feel grown up, to feel more secure in your relationship, because you feel pressured into it or because you think it’s sweet or cool. There’s nothing wrong with fond feelings about engagement but it goes way beyond that. Once you get engaged, it’s harder to turn back from a bad relationship. You’re on your way to marriage and plans for your future grow intense. Is that something you feel ready for? If not, hold off on engagement. Take a good look at the person you’ve been dating. Is that someone you want to grow old with and have a family with? Can you trust the person you’ve been dating with that level of commitment? If the answer to any of these questions is “no” then hold off on engagement and, in some cases, evaluate if the relationship should continue at all. 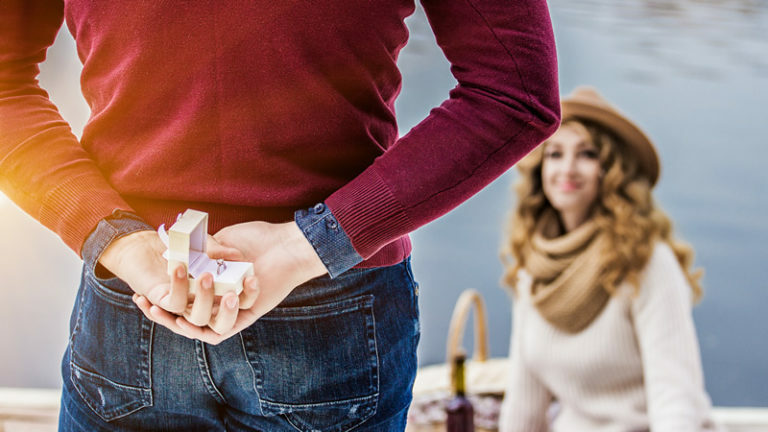 If you and your date have moved beyond being influenced by infatuation when deciding on engagement and you still want to get engaged, then go for it. If you’ve talked through everything in detail and you both feel comfortable moving on with engagement, take things to the next level. If you know your date really well and still feel good about going forward, go for it. If you feel like you have the “catch of your life” then, by all means, don’t let that one get away! Still unsure about engagement or it’s timing? Now could be the perfect time to contact the OC Relationship Center to build a better foundation for a healthy marriage!